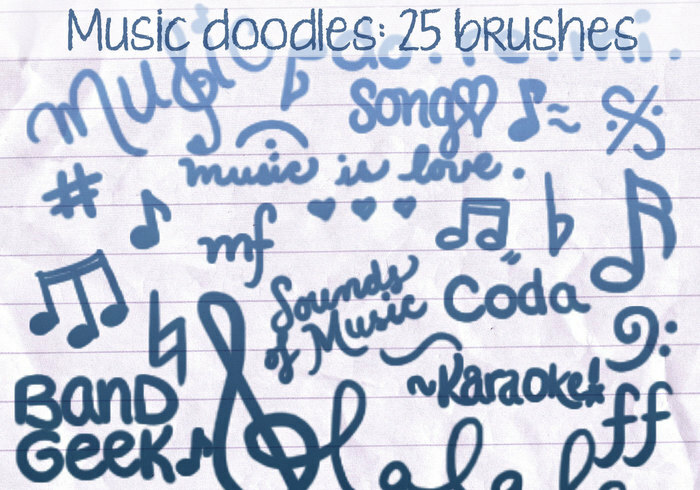 Music Doodles Brushes 2 - Free Photoshop Brushes at Brusheezy! have you been secretly going to my doodle pages for inspiration? ;) Joking thank you these are great!